Homemade By Lauren: GONE CRAFT MAD!!! 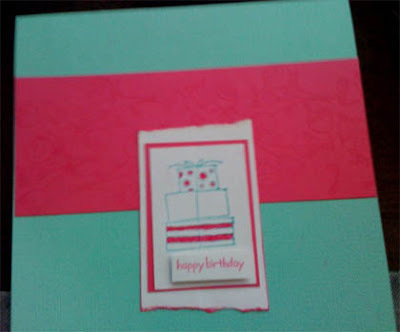 It doesn't atter what type of craft it is - paper craft, scrapbooking, card making sewing (very new to this) or even knitting (I don't know how to, but was veeeerry tempted in spotlight the other day). I am just feeling very much like locking myself in my study/ craft room and staying there for a long time ;) Of course that isn't possible...craft time is usually found somewhere between nap time, making vegemite sandwhiches, putting band-aids on 'ouchies' and changing nappies. I would love a stampin' up wheel stamp, but i used flower stamp with pink ink on pink paper to create similar effect for the back ground. 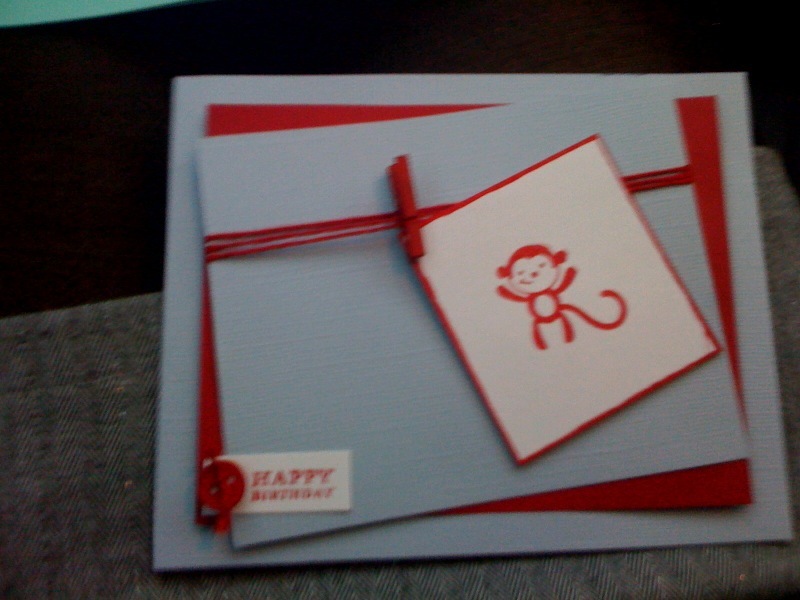 I just love this blue/ grey colour against the deep red and the button with the happy birthday stamp. 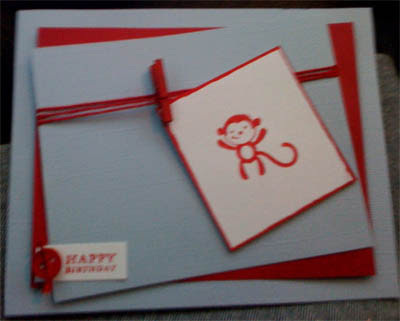 The little monkey was a perfect choice for a little boy birthday card.